When offered as an in-built feature of a modern cloud based contact center platform, automatic call distribution based on agent skills is a powerful weapon for contact center managers. In fact, it provides benefits for everyone involved. 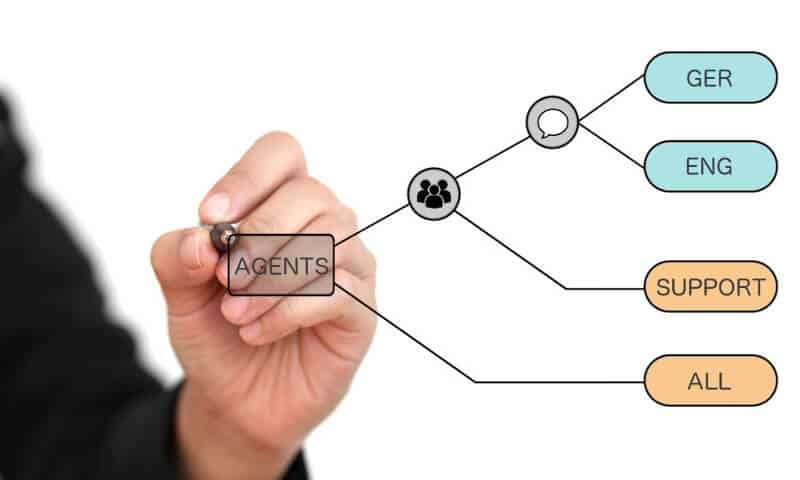 The basic mechanism of automatic agent selection relies on a platform being able to recognize attributes of a call, and route calls to specific agents or groups of agents if that attribute is recognized. In the most advanced systems, users or administrators can assign any number of attributes to an agent, then set rules to select those agents with either matching individual attributes (i.e. speaks Russian) or broad attributes (i.e. is a member of the group ‘Support’). Improves CX – callers are put in touch with the best agent for their needs as soon as possible. Decreases AHT – good routing naturally decreases the Average Handling Time metric as less time is spent with an agent with the wrong or weak skills. Optimizes agent resources – being able to prioritize resources by multi-faceted skills and attributes empowers better resource management. Agent specialization – if support functions can be divided, training can also become more specialized and cost-efficient. Personalized service – the best customer service makes the effort to meet the customer on their terms. When this is recognized, customer satisfaction increases. Automatic call distribution is a core function of the babelforce platform, enabling you to manage agents into both skill groups and broader team roles by assigning them tags. Then once conditions are set for a particular type of call, these tags are used to select the most appropriate agents, working together dynamically with availability and other real-time attributes.